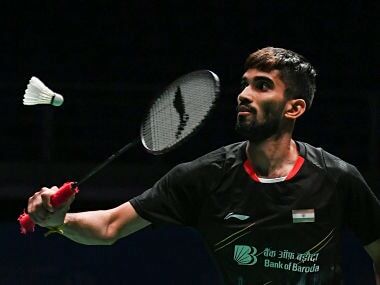 Birmingham: Star shuttler Kidambi Srikanth was disappointed after being called for a series of what he termed "ridiculous" service faults during his pre-quarterfinal match against China's Huang Yuxiang at the All England Championship. 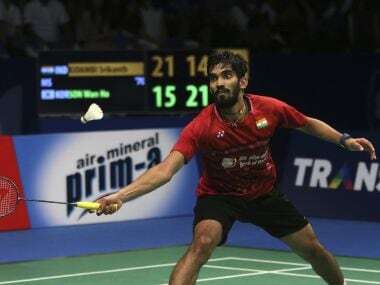 World No 3 Srikanth lost 11-21, 21-15, 20-22 to the unseeded Chinese at the Birmingham Arena in a 52-minute battle on Thursday night to crash out of the tournament. "There were too many service faults in the opening game. I didn't expect that to happen. Yesterday I didn't get even one, today it was totally changed. That should not happen in a tournament. There should be a specific rule. The umpire couldn't find faults yesterday but today the umpire sitting there found too many faults. It is ridiculous," an upset Srikanth said. India's rising doubles pair of Satwiksairaj Rankireddy and Chirag Shetty too were on the cusp of pulling off an upset win over second-seeded Danish combo of Mathias Boe and Carsten Mogensen but a few service faults in the crucial moment saw them lose 16-21, 21-16, 21-23 in an hour and three minutes. "It was unfortunate that we got faulted every 2-3 points an the end of the third game, it was crucial times and we were really unlucky," Chirag said. The Badminton World Federation (BWF) is trying out a fixed service rule in all the top tournaments this year. According to the law: 'The whole shuttle shall be below 1.15 metres from the surface of the court at the instant of being hit by the server's racket'. It was first introduced at the German Open early this month and was criticised by India's doubles specialist N Sikki Reddy, who posted a video on twitter of the controversial calls made by the service judge using the new rule. "This is how BWF and service judges have been playing with our career. Looks like they don't really care about our years of struggle and hard work to achieve our goals. (Not even 1 out of 100 will agree that these are fault serves)," Sikki tweeted after she and her mixed doubles partner Pranaav Chopra lost to the Thai pairing of Tinn Isriyanet and Pacharapun Chochuwong in the pre-quarterfinals. To assess the services, a pole has been set up in front of the judge with two glass panels – placed at a height of 1.15 metres from the court level – fixed atop either side of the pole. There are two dark lines drawn on either side of the glass panels and judges make their judgement looking at the lines when a player serves, which makes it prone to human error. The service rule has been lambasted by all top players, including PV Sindhu, Lin Dan, Lee Chong Wei, Viktor Axelsen and prominent coaches such as India's Pullela Gopichand and Denmark's Kenneth Jonassen, who described it "discriminating against tall players".